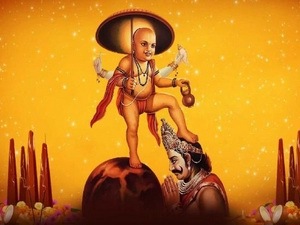 Vaman Jayanti or Vamana Dwadashi is celebrated on Shukla Paksha of Bhadrapad month. As per the legends, Lord Vamana is an incarnation of Lord Vishnu’s who was born in the Shravan Nakshatra on this day. The devotees worship Lord Vishnu with proper rituals on Vamana Dwadashi. Donating rice and curd is considered auspicious. In the evening, the devotees listen to Vamana Katha and Vishnu Sahastranaam along with the family members and distribute prasad among everyone. Devotees observe fast and perform puja with proper rituals to please Lord Vamana. According to the Hindu Scriptures, the significance of Vamana Jayanti increases if it falls on Shravan Nakshatra. Devotees worship the idol of Lord Vamana with rituals. A devotee who worships him with full devotion gets freedom from all sufferings and attains salvation. Lord Vamana is one of the incarnations of Lord Vishnu. It is the fifth avatar of Lord Vishnu. Shrimudagvad Purana and Vishnu Purana have described Vamana incarnation of Lord Vishnu in great detail. It describes the glory of Lord Vamana. As per the legends, Bali, the king of Asuras became unconscious from the attack of Lord Indra and was on the death bed. At that point of time, Shukracharya gave him life-saving herb (Sanjeevani) to all the Asuras who were unconscious and helped them to regain their life. Later, King Bali performed an austerity and became powerful than Devas. He achieved divine chariot, trident, and armor through his austerities. He went back to battle with Devas in the heaven. Lord Indra knew about the intentions of King Bali. He will be able to conquer heaven in this battle after completing 100 yajnas. Hence, Indra went to Lord Vishnu and asked for his help. To protect Devas from the Asuras, Lord Vishnu decided to incarnate as Lord Vamana. He took the birth from the womb of Aditi, wife of Sage Kashyap on the Shukla Paksha of Bhadrapad. He was named Vamana who adopt the form of Brahmachari. Vamana received Deerskin from Agastya, Butea rod from Mariachi, clothes from Angiras, An umbrella from Sun, Sacred thread and Kamandal from Guru Deva, Loincloth from Aditi, Rudraksha from Saraswati and bowl from Kuber. When Vamana grew up, he went to King Bali on the day of his 100th Ashwamedh Yagna. King Bali wanted to give Dakshina to Brahmin Vamana. Lord Vamana asked for three pieces of land that he could measure with his feet. Since Bali had made a promise, he could not deny it. Vamana took the first step, encompassing the whole earth. With the second step, he covered the heavens. He conquered two of the three worlds. There was no place to keep the third step hence Bali offered his head. Vamana placed his last step on Bali’s head. Lord Vishnu was pleased by the integrity of Bali. He blessed Bali with one desire. Bali asked Lord Vishnu to be present with him so that he can worship him. To fulfill Bali’s desire Lord Vishnu became his gatekeeper. Devotees keep a fast from the 11th day of Bhadra till the 12th day. On the 12th day or the Dwadashi, devotees wake up early in the morning and take a holy bath. They worship the image of the Vamana and stay awake the entire night to recite the Vishnu Sahasranama. On this day, young Brahmin boys are invited and umbrella and other small gift articles are offered to them. There are several temples dedicated to the Vamana avatar of Lord Vishnu, such as Vamana Temple in Khajuraho, Vamana temple in Cherukuru, Vamana Moorthy Temple in Thrikkakkara In Kerala, Trivikrama, Vamana Perumal Temple in Kanchipuram in Tamil Nadu. These temples observe this day with prayers and deep dedication.